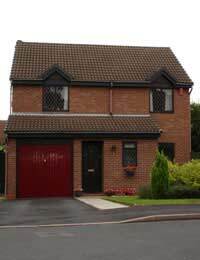 If you have a driveway and there is a pavement in front of your home, you MUST have a dropped kerb in place. Construction of a dropped kerb requires prior permission from your local highways department and must be completed by an approved contractor. When a neighbour constantly blocks your driveway it can be very frustrating! Whether they just can't be bothered be park further down the street, or they don't realise the problem, what can you do? We would always recommend trying to speak to your neighbour about any problems. Try to pop round for a quick chat. If they are always out or you don't feel comfortable talking to them face to face, try sending them an informal note. If this doesn't work, then a more formal letter may be required. Just a quick note regarding where your [car/van/motorbike] is parked. You might not have noticed, but your vehicle is quite often parked in front of [my/our] driveway meaning that we are unable to get in/out of our driveway. Please could you park slightly further up the street so that [I/we] can use [my/our] driveway? Thanks for your help. I live at [address], next door. I am writing in relation to problems that I have experienced in obtaining access to my driveway. You may have previously been unaware of this problem. However it is preventing me from accessing my private property in order to park my car. I require access to my driveway way at all times, 24 hours a day, 7 days a week. Parking in front of the entrance to is a breach of the Highway Code (rule 243). There are other available parking spaces that you can use further up the street that will not block any driveways. I am keen to resolve this amicably; we are after all neighbours! I would therefore be grateful if you could avoid parking in front of my driveway going forwards.